You will fall in love with this one! 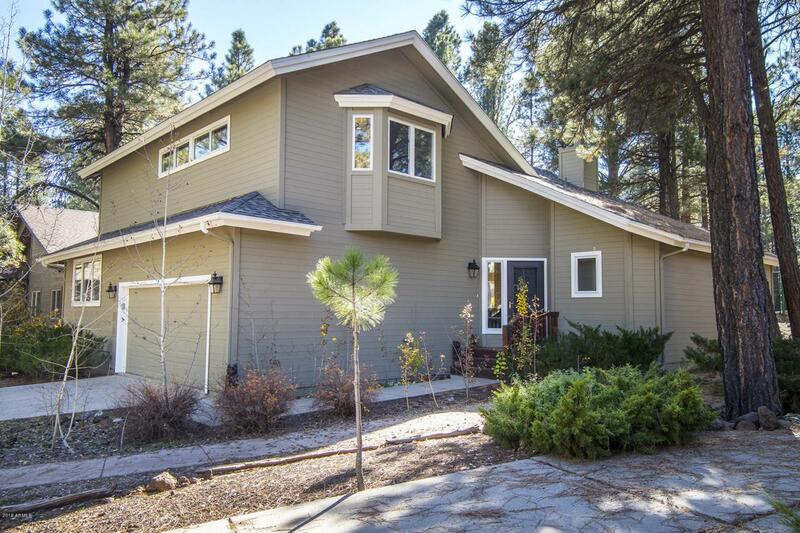 Situated on a gorgeous lot backing to the tennis courts. Absolutely immaculate and move in ready with updated everything- including, interior paint, exterior paint, roof, travertine/slate/carpet-all flooring, kitchen cabinets, counters, appliance package, bathroom cabinets, plumbing fixtures, lighting, AC, furnace, H2O heater, washer/dryer, deck, gas fireplace, doors, windows and the list goes on and on! Enjoy the light bright open concept living with 2 guest rooms/2 full baths on the main level and a huge gorgeous Master Suite on the upper level. Relax on the spacious deck within walking distance to the Canyon Clubhouse. It's hard to find a totally updated Cottage at this price point! Call today for your private tour!